Four step process that restores the clarity of yellowed, hazed, or dull headlight lenses. Kit contains sanding discs and polishing pad with compound. For use with a drill. 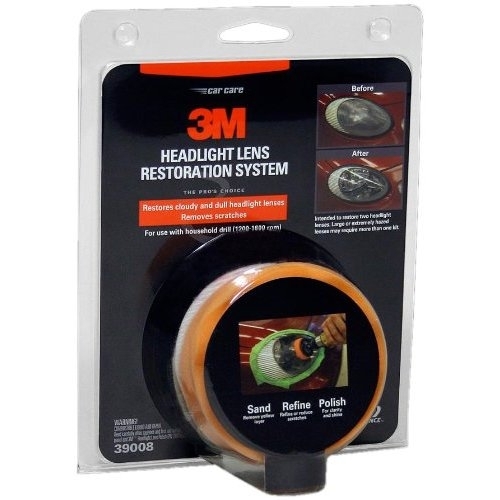 3M Lens & Hard Plastic Cleaner, 39017 - 8 oz.